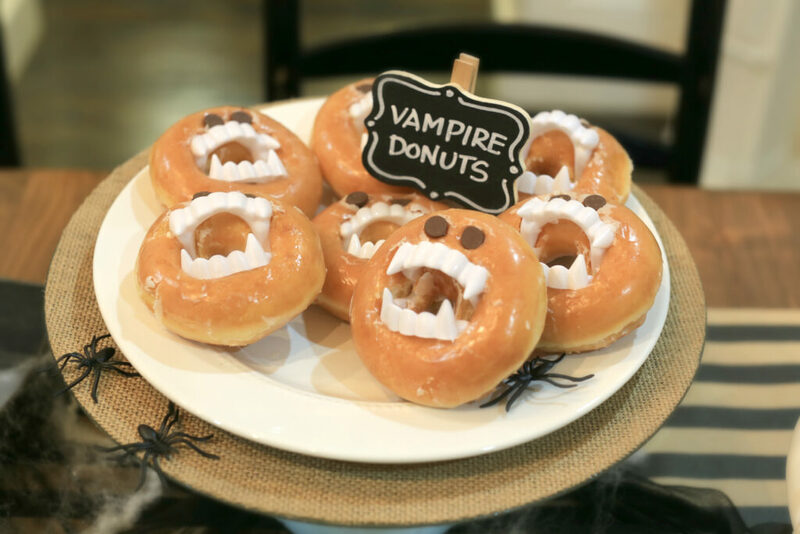 Halloween is just around the corner! 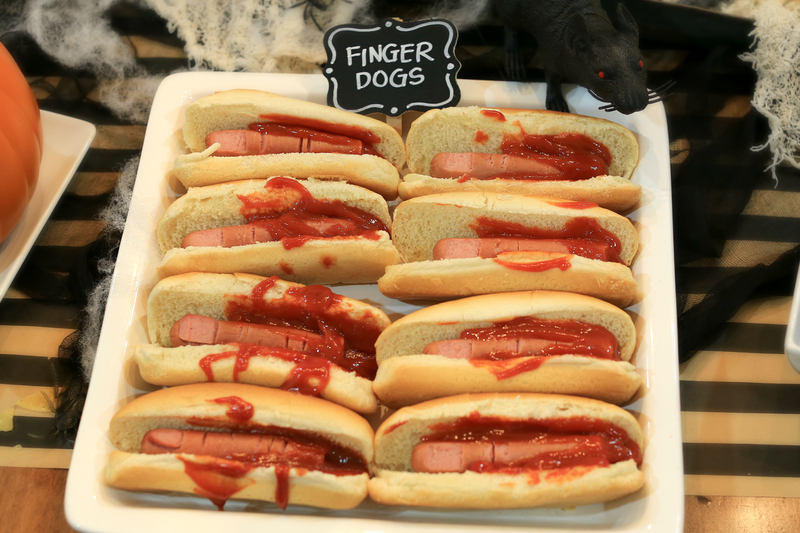 If you are looking for really Gross Food ideas you came to the right place. Last week Kamri/Kalium featured her favorite ideas on her YouTube Channel. They were too amazing not to share with all of you! 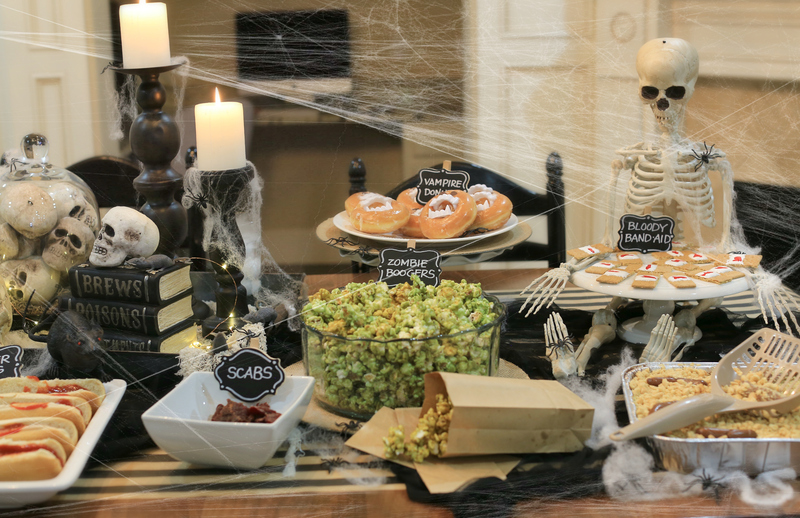 These Gross treats are perfect for family, friends, or any Halloween Bash you have planned! Vampire Donuts: All you need are donuts (we used Krispie Kreme) vampire teeth and chocolate chips! 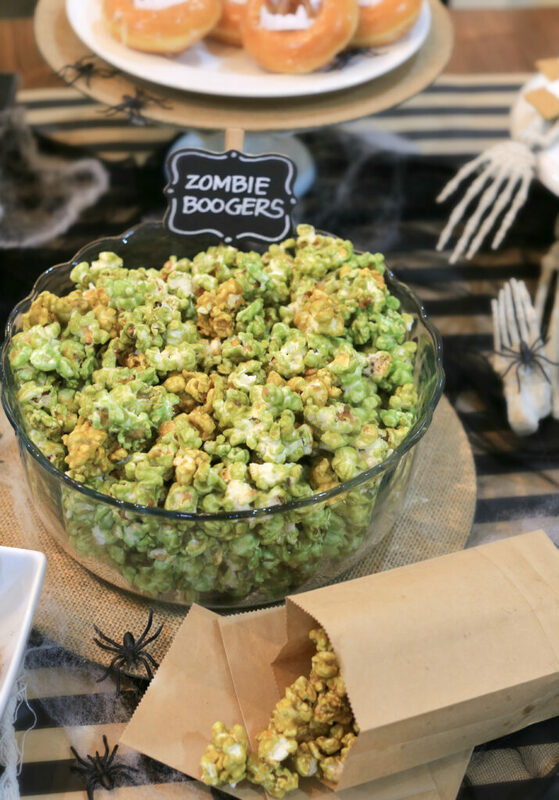 Zombie Boogers: This gross treat is essentially caramel popcorn with green food coloring added! 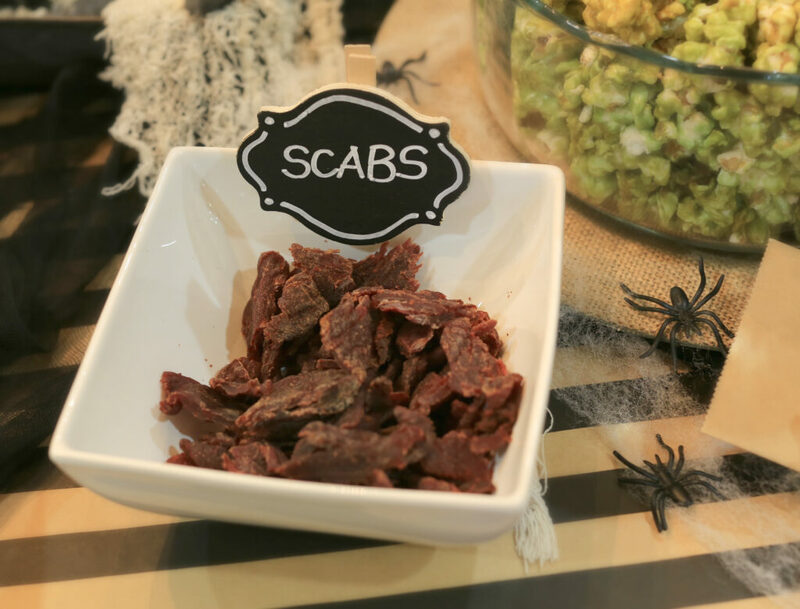 Scabs: These look totally disgustingly real! It’s really just beef jerky in small pieces. 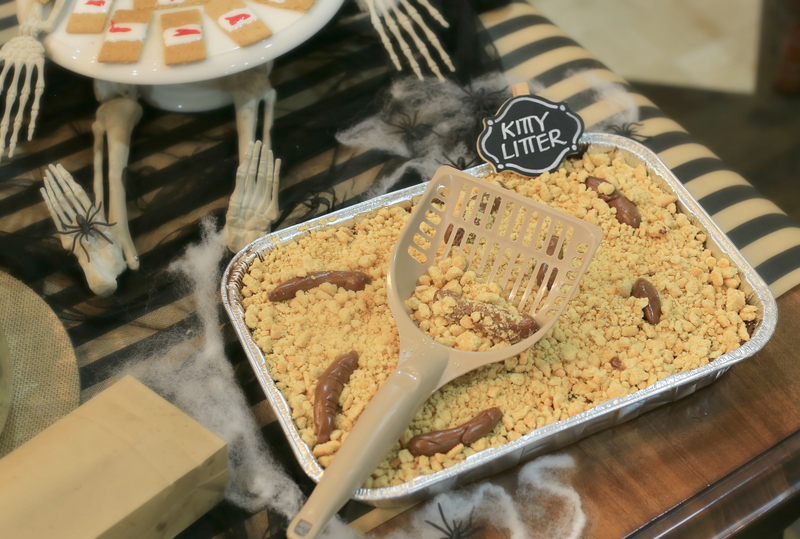 Kitty Litter: I’m not going to lie, making fake poop was really fun. Make your favorite cake, add icing and crushed blonde oreos. To make poop simply warm up tootsies rolls in the microwave and shape! 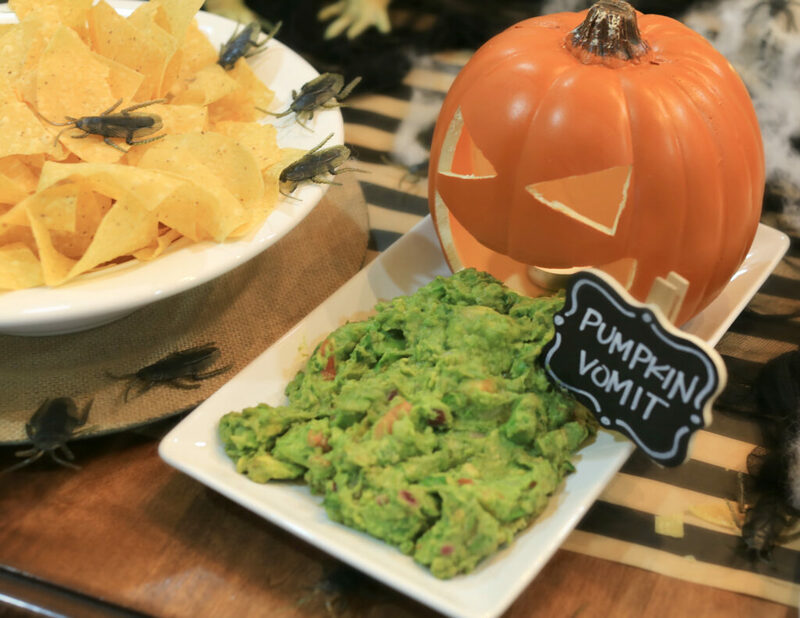 Pumpkin Vomit: This sick pumpkin threw up some delicious guacamole! Very tasty with chips! Carve any real or fake pumpkin to create this disgusting look. Bloody Finger Dogs: Take any hot dog, slice a finger nail and a few lines to look like knuckles. Add ketsup for blood! Bloody Band-Aids: These are an easy DIY! 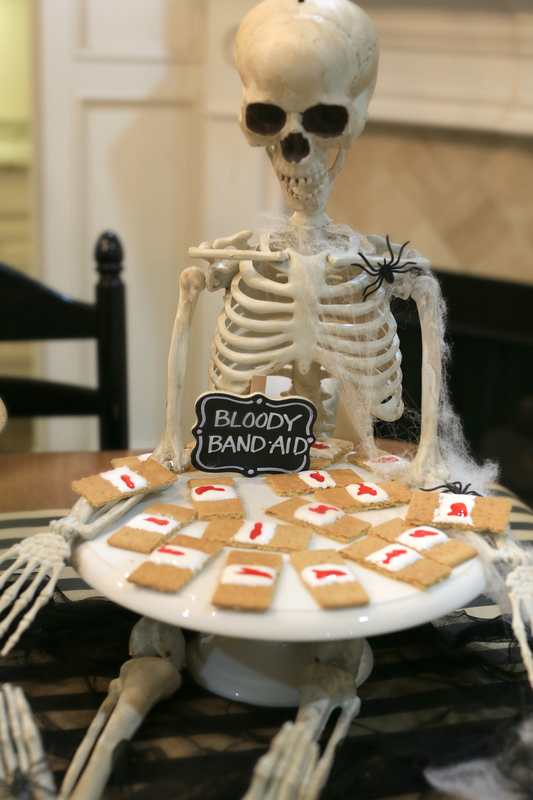 All you need is graham crackers, marshmallow fluff and red piping gel. 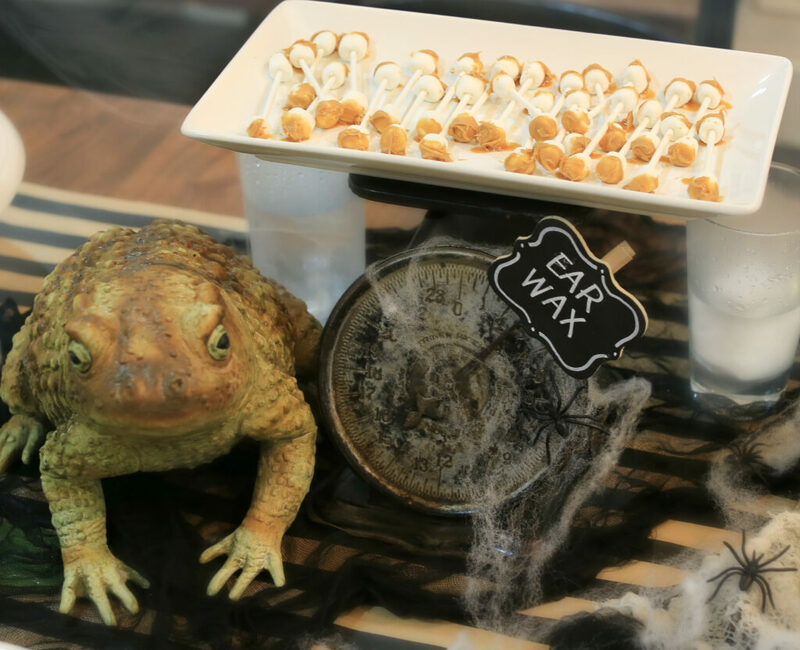 Ear Wax: Use a candy stick, add mini marshmallows and a little peanut butter to make these very gross treats! 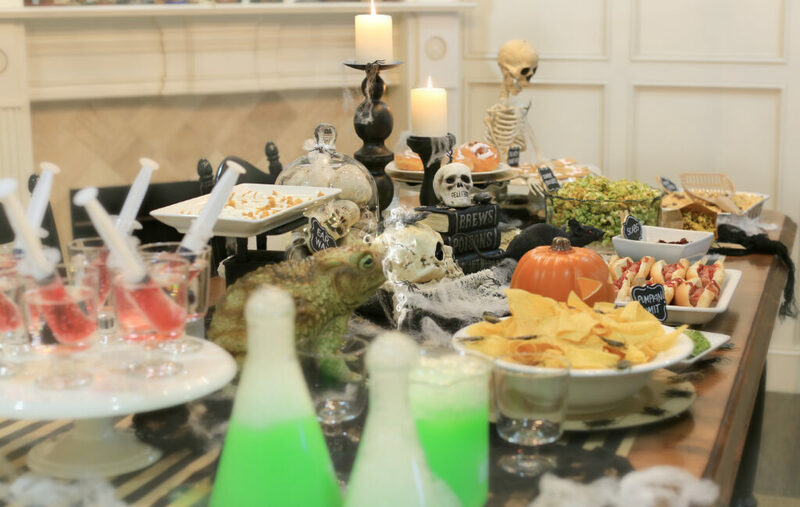 Bloody Shirley Temple: This non-alcoholic drink is super easy! Use 8oz. of sprite and 1 oz. 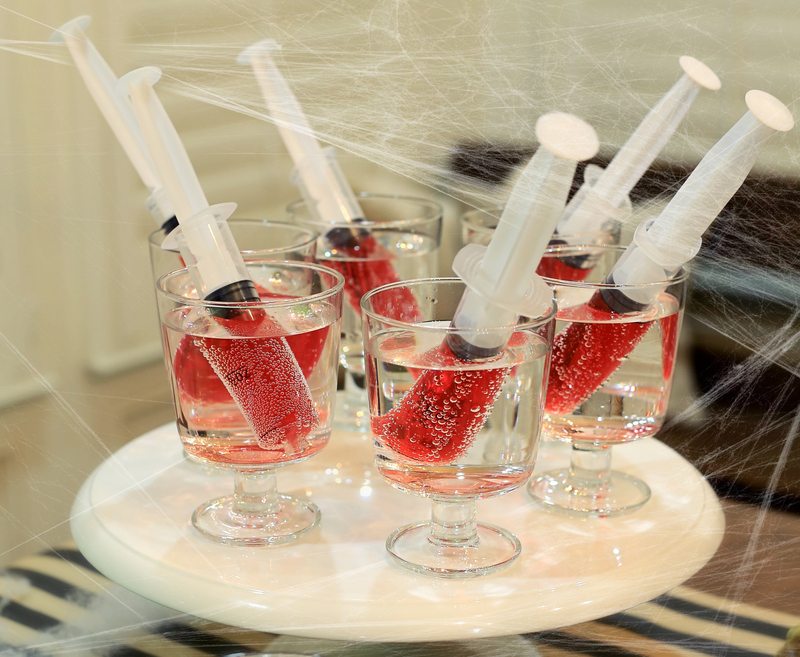 of cherry grenadine in a syringe! Syringes found at party supply store! 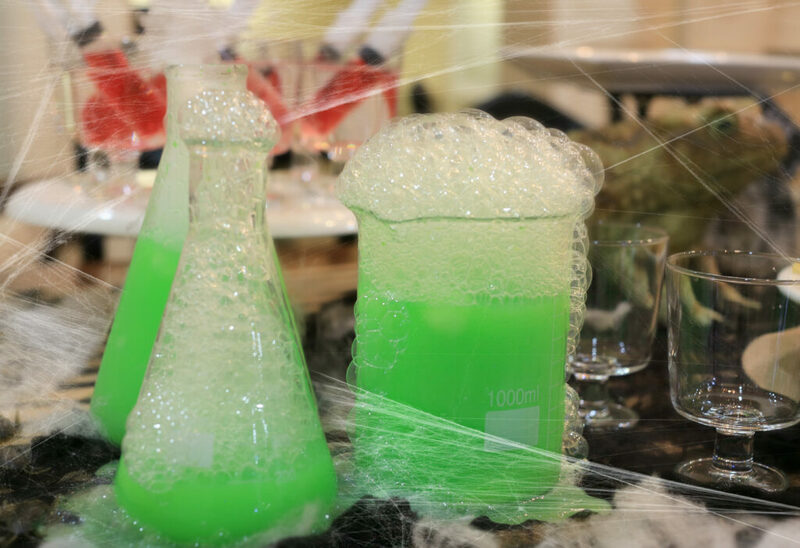 Poly-Juice Potion: This Harry Potter inspired drink is Lime Sherbet and Lemon Lime Soda. 1/2 gallon sherbet and 2 liter bottle of lemon-lime soda. Click the link below to watch Kalium’s tutorial!